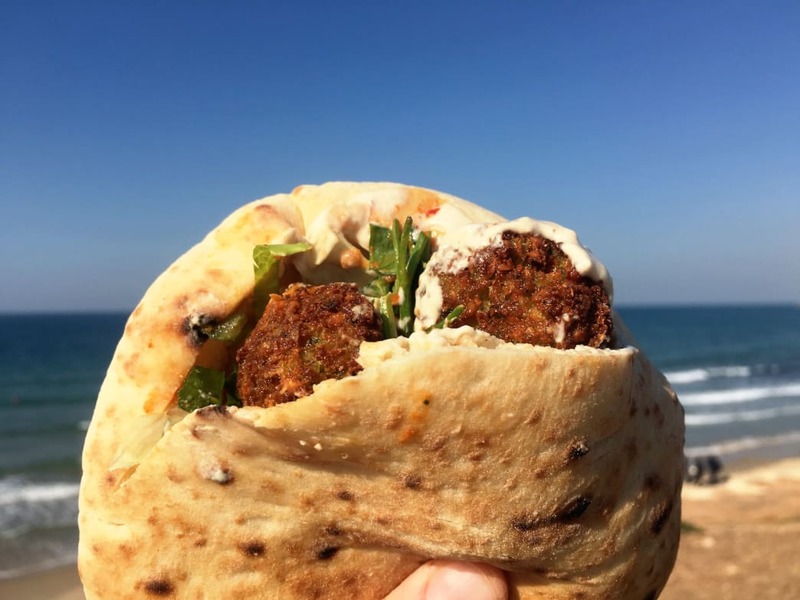 The first thing that pops into your mind when thinking about Israel probably isn’t hiking, camping, paddleboarding, biking, snorkeling, or even delicious food. This tiny Middle Eastern country gets just a wee bit more attention for things like, well, Jesus, for one. Both Christianity and Judaism sprouted from this patch of the planet, and the third most sacred Muslim site is also here. You can dig into thousands of years of culture in Israel. But you can also get knee deep in adventure. When your eyes start to glaze over from gazing at ancient churches, head for the great outdoors. Here are some tips for planning an adventurous trip to Israel. 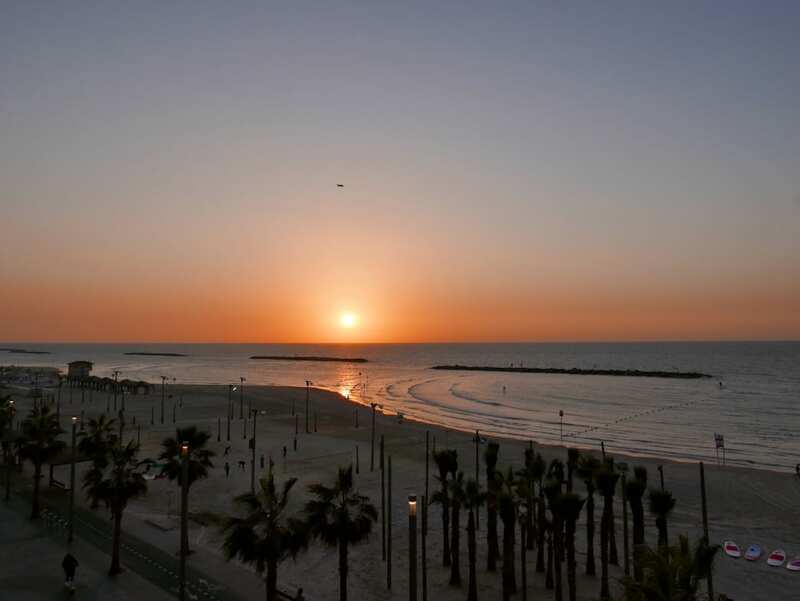 Tel Aviv is a bustling city of 400,000 that spans a gorgeous stretch of the Mediterranean Sea, with soft beaches, sunny days, and surfable waves. Make a beeline for the beachfront and pick your pleasure—stretch out on the sand, join joggers on the paved promenade, rent a kayak, paddleboard, or surfboard from a shop near the marina, play a game of beach volleyball, or just kick back at a café and drink a cold Goldstar lager. Listen for the thwack-thwack-thwack sound of matkot, a popular paddle game that Israelis play at great speed. When you’re ready to venture farther afield, grab two wheels from a bike sharing station and pedal along the shore path to Jaffa, an ancient fortified port that occupies a prominent perch to the south. On the way back, stop at Carmel Market and wander down the winding alleys, where merchants sell everything from dried fruit and spices to jeans and sunglasses from their small stalls. Spend a few shekels on a fresh falafel sandwich and take a seat at the Beer Bazaar, whose shelves are stacked with dozens of different Israeli craft beers. Many people are surprised to learn that you can hike the entire length of Israel. 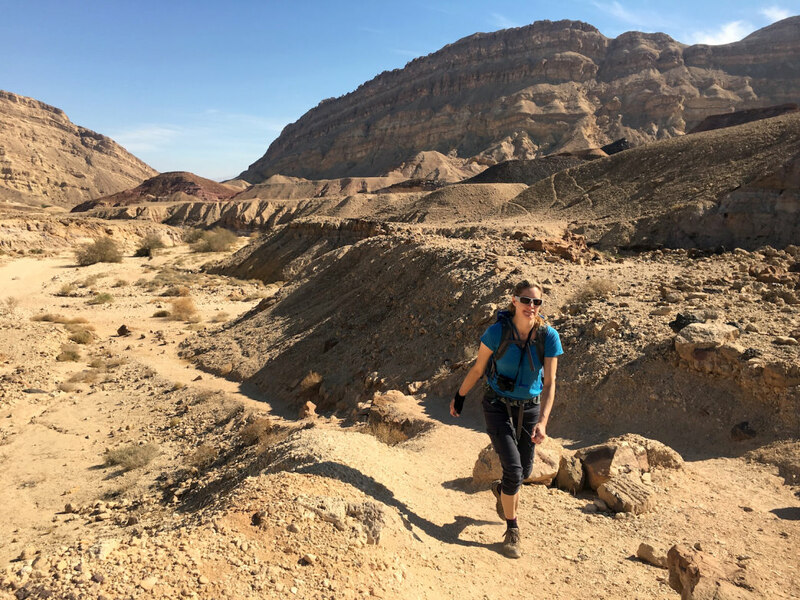 The Israel National Trail spans some 620 miles from Kibbutz Dan (near Lebanon and Syria) in the green, hilly north through the Negev Desert to the Red Sea in the south. It takes a couple of months to thru-hike the whole thing, a rite of passage for many Israelis. Those with less time on their hands can sample a stretch here and there. For details, the best English resource is Jacob Saar’s guidebook and forum. For a guide, contact Walk in Israel or Yoel Oren. If spinning in spandex is your idea of a good time, then saddle up for the International Arad Dead Sea Gran Fondo, a two-day road biking stage race that starts and ends at the Dead Sea. For mountain bike racers, the Israel Epic is the ticket—a three-day stage race (with one-day options) in the green hills of Northern Galilee. If racing isn’t in your repertoire, no worries. The folks at Sababike are happy to show you around Israel’s mountain bike trails. If you visit Israel and don’t make a pilgrimage to Jerusalem you’d be missing out on what is considered the holiest of all cities. Stop first at the Israel Museum and circle the huge scale model of first-century Jerusalem. Wander into the Shrine of the Book to see the Dead Sea Scrolls—ancient manuscripts that archaeologists unearthed from caves in the Judean Desert. Next lose yourself in the Old City, whose weathered stone walls carry wrinkles of history. With sacred sites for Christians, Jews, and Muslims (who can’t always agree who has dibs), this is a vortex of world faith. 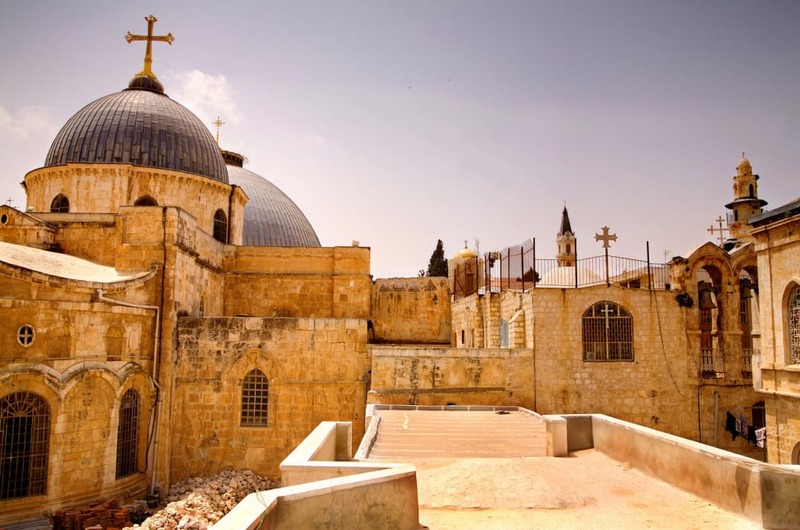 The holiest site in Christianity, the Church of the Holy Sepulchre, is built on the site where Jesus is said to have been crucified and resurrected. If you’re lucky you’ll get there just in time to join a parade of candle-carrying monks, whose devout chanting echoes in the cavernous halls. Not far from here, Jewish pilgrims flock to say their prayers at the Western Wall, the remnants of a wall built 2,000 years ago to prop up the Temple Mount (the Haram Ash-Sharif, or Noble Sanctuary, to Muslims). The two faiths still wrestle over rights to the hilltop, now crowned by the Dome of the Rock, a gleaming golden-capped Islamic shrine built around a stone sacred to Jews and Muslims. Stay out of the politics and just bask in the glory of this holy spot. A trip to Israel wouldn’t be complete without a swim—or float rather— in the Dead Sea. With 34 percent salinity, the Dead Sea’s water is so buoyant, you can float effortlessly. It feels like you’re bobbing like a buoy. Outer space seems like it could swallow the Earth in one gulp in the Negev Desert, where night skies might leave you feeling star-struck. To immerse in the view, spend a night (or a few) either camping or in simple, Bedouin digs. Trek from campsite to campsite, or set up a home base and adventure by day, exploring the desert by camel, mountain bike, jeep, or horseback. Some camping areas offer facilities while others are bare bones. Try to avoid holidays and the most popular spots, which can draw a crowd. The Israeli Nature and Parks Authority runs campsites that are popular with large groups (translation: look elsewhere for solitude). To plan something on your own, check out the resources on the Negev Highlands Tourism website. 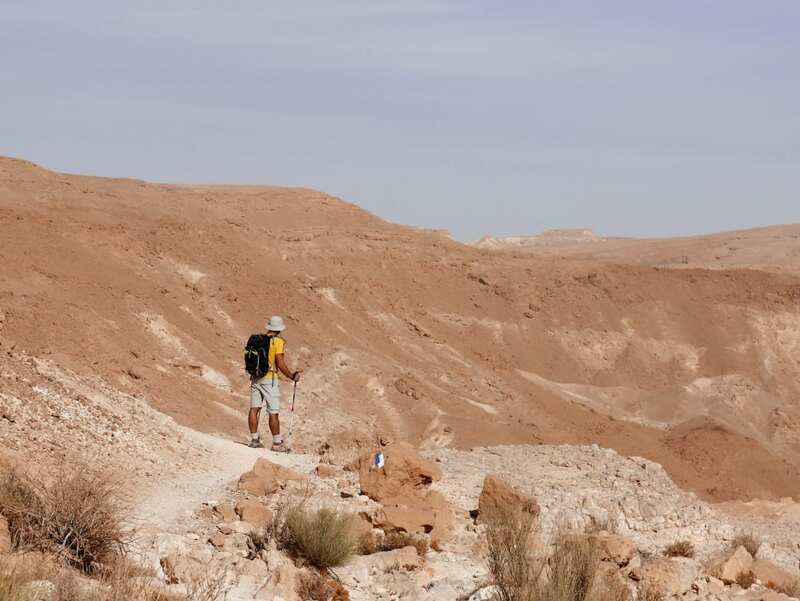 If you like the idea of a self-guided trek where someone sets up camp and cooks for you, contact Negev Trek. Desert Trails is another outfit with friendly folks who will show you around. 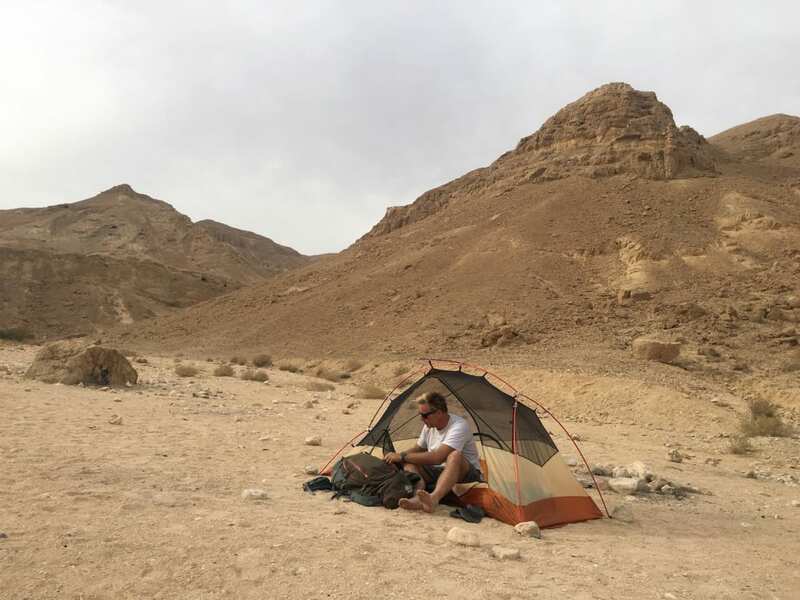 For simple roof over your head in a Bedouin-like place, try the Desert Shade Eco-Camp, which is in a sweet spot perched on the edge of the Ramon Crater. Or you can rent a luxury caravan through ShakaVans. 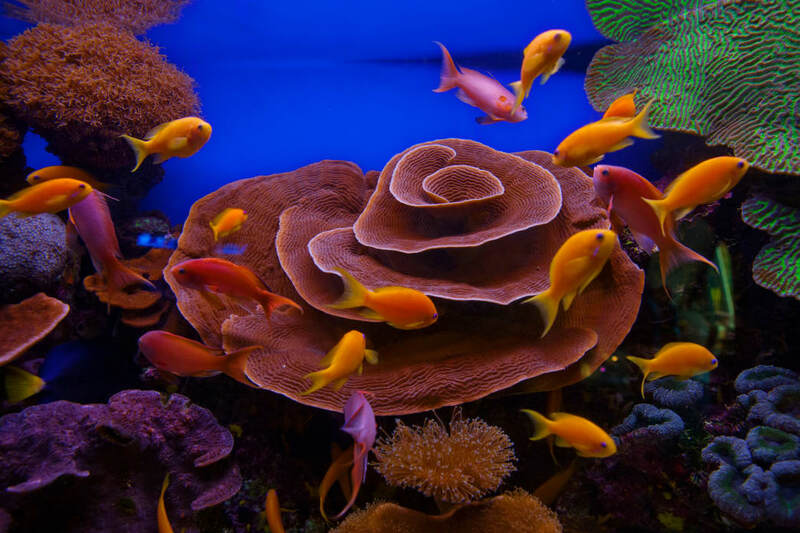 More than 1,200 miles of fringing coral reef line the Red Sea, which separates the Middle East from Africa. Israel’s southern tip brushes the coast in Eilat. For the best snorkeling, head to the Coral Beach Nature Reserve, where wooden bridges lead to the reef’s edge. Jump in and follow underwater trails to see hundreds of fish fluttering amid colorful coral like leaves falling from a tree. SCUBA diving is also an option is you want to go in deep. Middle Eastern and Mediterranean flavors fuse on the Israeli table, which invariably feature fresh, healthy fare. Shakshuka, fried eggs cooked in a bubbly tomato stew, is a breakfast favorite, often accompanied by cucumber and tomato salad (which appears at all times of day) and a selection of cheeses. For lunch dig into falafel pita, topped with creamy hummus, cabbage, and Yemeni schug, a spicy hot pepper sauce. Dinner might include hearty chicken stew, schnitzel, grilled meats, chickpeas, artichokes, grilled vegetables (like eggplant, peppers, and zucchini), and salad. To satisfy your sweet tooth, bite into the sugary layers of baklava, or try a slice of halva—a sweet, nutty sesame concoction. Before you head out on the trail, stock up on dried fruits and nuts at a local market (like Carmel Market—see Tel Aviv, above).